The Vinaka Fiji Trust was set up to give something back to the villagers in the Yasawa Islands, Fiji. Volunteer and spend some time with us or make a donation. Visit our website www.vinakafiji.org.fj. What feels better than a holiday in paradise? Volunteer work in the remote Yasawa Islands not only soothes the soul, it puts our "first world" problems into perspective. "In exchange for opening up to tourists, villages in the remote Yasawa Islands are getting education, labour and help protecting their environment. The clear water, colourful coral and simple beach life may look like idyllic, but the locals struggle with shortages of clean drinking water, health and education services and the sustainability of their eco-system. The children at the primary school in Soso Village, Naviti Island​ - and, as I've just discovered, their parents and siblings too - are among those benefiting from the programme. The programme has seen its students go from significantly below national average in literacy to leading the way in test results among their peers. Tema Savu is a former teacher who was asked to come out of retirement to lead the local education program. She is the mother-figure to the volunteers who come from around the world to work with the kids. Tears well up in her eyes ad she takes a moment to get her voice under control before she tells me about them. "I get quite emotional when I think about this. I'm just touched we have some amazing young people taking part in the programme." One is a Brit, Sarah Ashton. This remote Pacific island is physically and culturally a long way from her home city of Manchester. she first came for a week about 18 months ago and kept returning. "I've done all three programmes," she tells me. "Education, sustainable community and marine conservation." The village is below world standards of health and poverty and Sarah was initially shocked by the lack of resources. "A lot of the teaching is done on basic blackboards," she says. "Some of the kids didn't even have pens or pencils." The experience had such an impact on Sarah that when she returned home to the UK last year, she worked through her church to raise enough money to buy pencil cases for four classrooms. 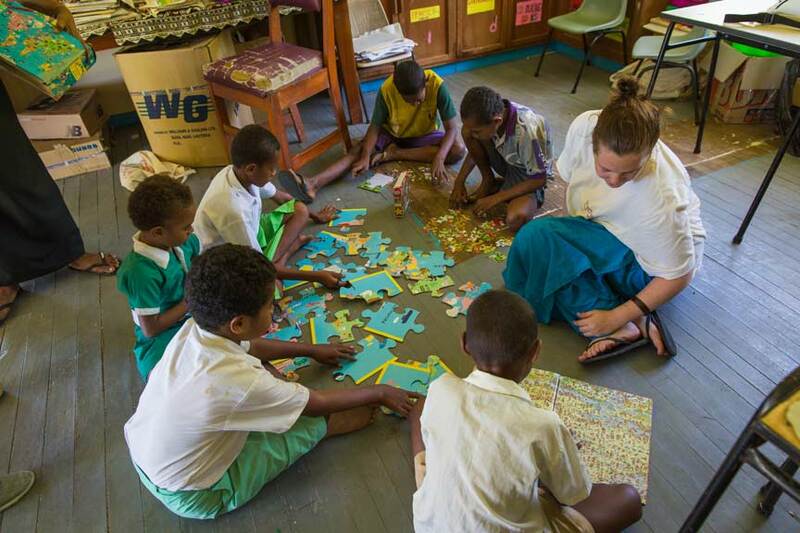 Vinaka Fiji volunteers have clocked up more than 20,000 hours teaching groups or providing one to one teaching to locals of all ages from youngsters to adults. The results speak for themselves. Yasawa High School has gone from one of the most under-performing schools in Fiji to see a pass rate of 71 per cent in form 7 last year. Tema Savu is working with primary-aged children and is thrilled with their progress. She tells me of one particular child who didn't know the alphabet or the sounds the letters made. "The other day she read a book - The Three Pigs. I had to stop myself from jumping up and hugging her. But she knew. She was happy." Soon after Tropical Cyclone Winston struck Fiji, the Vinaka Fiji team began seeking assistance to help the villages in the Yasawa Islands. 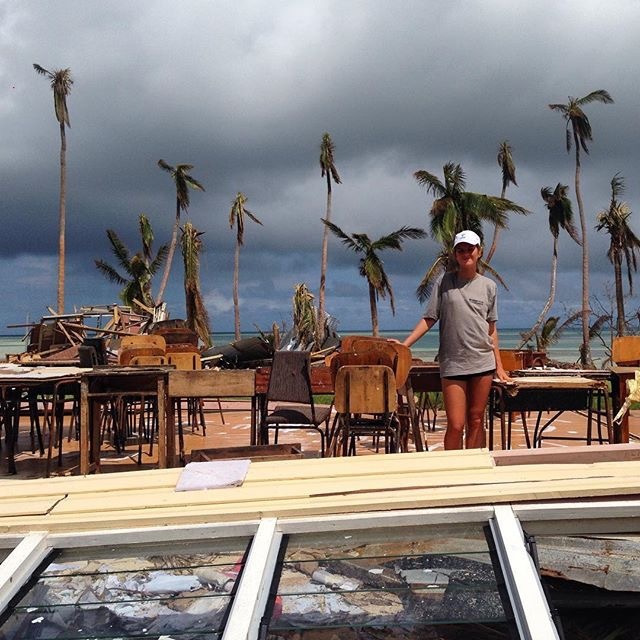 Vinaka Fiji's Operations Manager, Elle Nimacere, is calling out to people with building skills who can help rebuild these communities. Also required are water purifiers, mosquitoe outdoor spray tanks with chemicals, food crop seedlings, school bags, shoes, books, basic food items, cooking equipments, small solar lamps, clothes and bedding. Together we can rebuild these communities. Peter Duncan emphasised that the Yasawa villages, even without the devastation caused by a cyclone, are very pared back communities relying mostly on fishing and root crops. 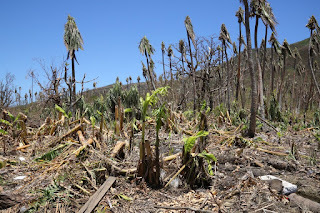 "Once their buildings are gone, there are hundreds of people that don’t have access to adequate shelter, fresh water is limited and obviously the food supply chain has also been disrupted. These are the basic things that we are trying to address at the moment through Vinaka Fiji." 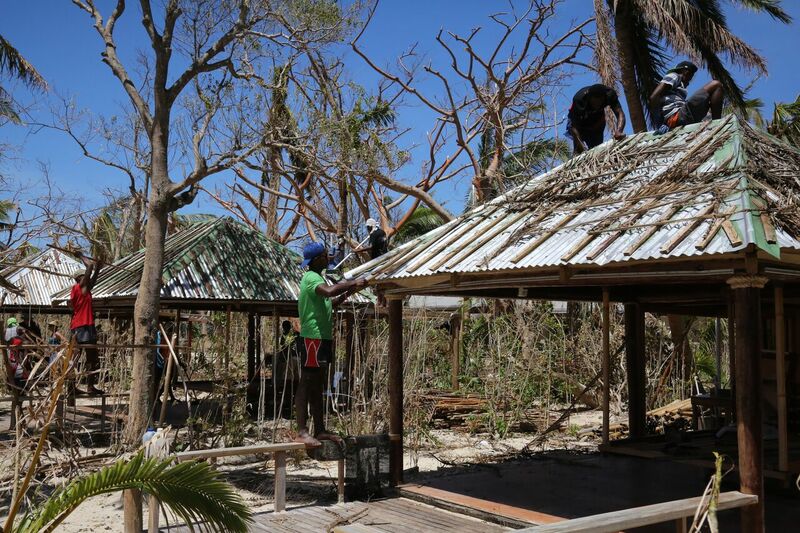 Vinaka Fiji needs your help, particularly with donations and building skills, to help these remote communities overcome the devastation and rebuild their homes, schools, villages and lives. In just a week since Vinaka Fiji launched its cyclone relief fund generous people have given $16,269.00. More, much more, is needed. If you would like to help make a difference please visit www.vinakafiji.org.fj. All funds raised will be spent directly in assisting the villages in the Yasawas to recover as Vinaka Fiji staff and administration costs are covered by South Seas Cruises Limited. 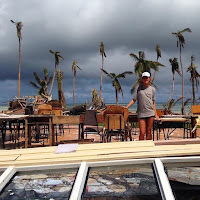 Vinaka Fiji Volunteering is working on providing assistance to the villages in the Yasawas after Tropical Cyclone Winston hit the Fiji Islands with winds of 300km/h. 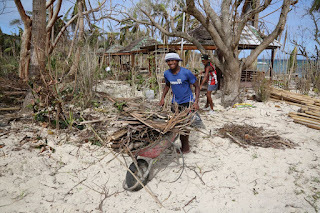 Many villages throughout the Yasawa chain of islands have sustained very considerable damage. In some only a couple of houses remain as most of the buildings have been destroyed or blown away by the cyclone. 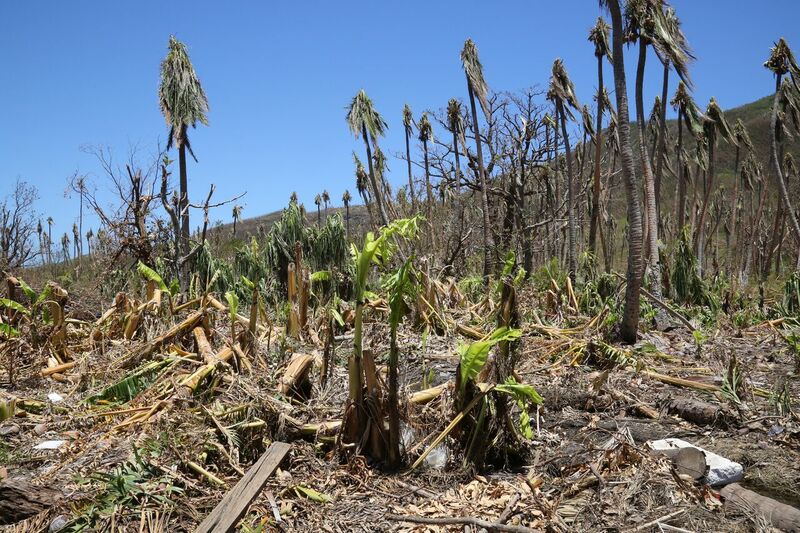 Food crops have also been wiped out. "Cyclone Winston destroyed the Yasawa High School in Muaira on Naviti Island. 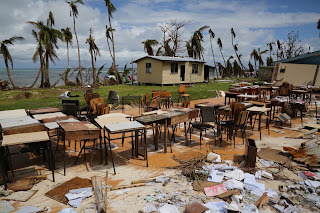 While the winds ripped the roof and walls away, the children's desks and seats remained standing," reports photojournalist Richard Moore, who is travelling in the Yasawas under the auspices of the Vinaka Fiji Charitable Trust. Vinaka Fiji's Operations Manager, Eleona Nimacere, said an estimated 2,000 villagers on Naviti Island have very limited food as a result of their crops being destroyed. “They are now preserving food in the traditional way. That is grating of kasava so they can cook it in leaves. That helps it last a long time. They are also drying out fish," she said. He said the response had been heartening with many holidaymakers willing help out to get the lives of the villagers back to some form of normality. Ms Nimacere is currently on the ground facilitating distribution of much needed basic food supplies and tarpaulins and collecting data to assess ways in rebuilding the communities. She is assisted by the local Vinaka Fiji team and volunteers from abroad that are already in Fiji with Vinaka Fiji's volunteering programmes that work in the areas of education, building sustainable communities and marine conservation. Instead of working in these programmes, the volunteers are helping distribute food stuffs such as rice, sugar, flour and tinned fish, as well as tarpaulins. Awesome Adventures Fiji and Blue Lagoon Cruises donated these supplies and shipped them from Port Denarau to the Yasawas aboard company vessels, including the Yasawa Flyer resort connection vessel and the boutique cruise ship, Fiji Princess. Peter Duncan emphasised that the Yasawa villages even without the devastation caused by of a cyclone are very pared back communities relying mostly on fishing and root crops. "Once their buildings are gone, there are hundreds of people that don’t have access to adequate shelter, there’s limitations of water and obviously their food supply chain has also been disrupted. These are the basic things that we are trying to address at the moment through Vinaka Fiji." Vinaka Fiji needs your help, particularly with donations and building skills, to help these remote communities overcome the devastation and rebuild their homes, schools, villages and lives. In just a week since Vinaka Fiji launched its cyclone relief fund generous donors have given $16,269.00. More, much more, is needed. 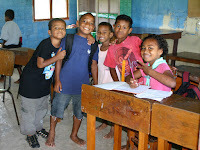 If you would like to make – and help to make a difference - please visit www.vinakafiji.org.fj. Photos supplied by Richard Moore/Moore Media Services, Hannah D. and Sanjeshni N.
In August of this year, Vinaka Fiji celebrated its fifth anniversary. Set up by the founders of South Sea Cruises and Awesome Adventures Fiji, we run a ‘volun-tourism’ program where holidaymakers give their time and expertise, and raise funds to provide for basic needs and amenities in the Yasawas. The Yasawa Islands are home to 22 resorts, from luxury to backpacker, which are linked to Port Denarau with South Seas Cruises’ high-speed Yasawa Flyer catamaran and packaged by Awesome Adventures Fiji. At its inception in 2010, Vinaka Fiji’s Chairman and co-founder of South Sea Cruises and Awesome Adventures Fiji, Roger Dold, said “our commitment is to assist Yasawa communities to become fully sustainable and self-supporting”. Five years on Vinaka Fiji has achieved much to celebrate. On one hand, there is the constant flow of volunteers that come to holiday and get involved in helping make a difference in a village near their resort. Then there is the fundraising arm of the Trust which helps to bring about works on major projects in partnership with the likes of the United Nations Development program, the Fiji community, a range of government and non-government agencies, and the Fiji Government. Part of walking the fundraising talk for Awesome Adventures Fiji is its direct donation to Vinaka Fiji of FJD$10 for every Bula Pass and accommodations package of four days and more that it sells. 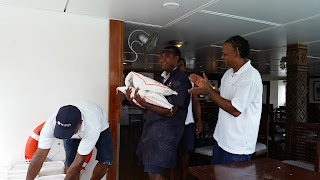 Vinaka Fiji Operations Manager Elenoa Nimacere says “we all have a common goal: to assist our local communities”. She says, to date the Vinaka Fiji children, schools and education program has brought competency in reading and writing in English to literally hundreds of island school children. 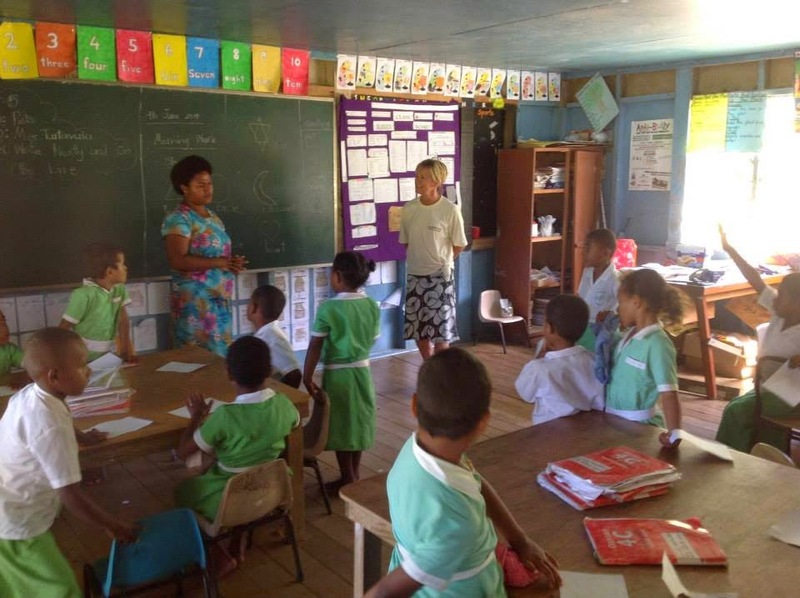 The education program also assists older pupils and with adult education, including agricultural and marine studies, as well as working closely with the Fiji Department of Education to improve school buildings and education materials. Ms Nimacere says a dire reality of life for villagers in the Yasawas is that most do not have a reliable supply of fresh water. 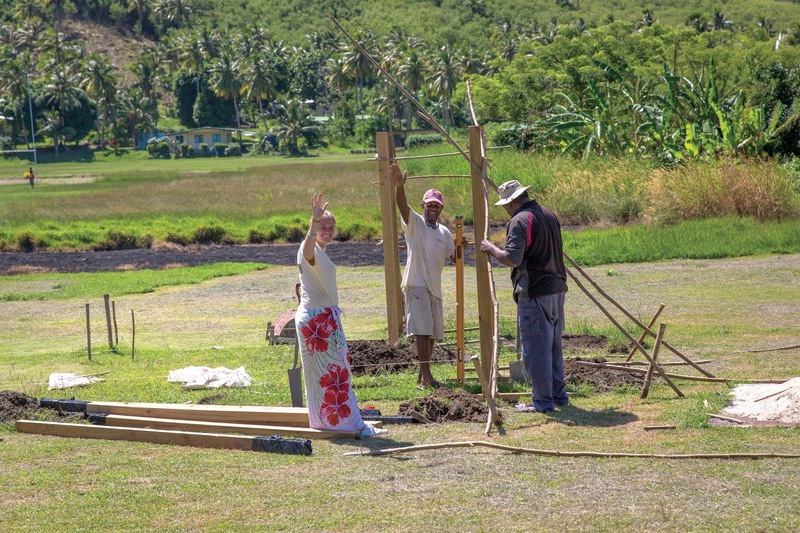 “Addressing this a major focus for our Vinaka Fiji creating sustainable communities program. Many of the existing wells and some of the rainwater tanks are contaminated with viruses and bacteria and rain water harvesting is not sustainable during the dry season,” she says. 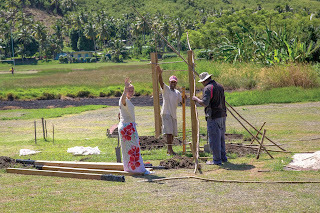 To date, Vinaka Fiji and its partners have installed 28 new water systems to achieve over 200,000 litres of new drinking water capacity in six villages, carried out improvements and repairs of existing tanks to create an additional 250,000 litres in capacity and brought together villagers, youth groups and volunteers to work on water programs, all of which has led to a greater awareness of the importance of water conservation. At this time Vinaka Fiji is campaigning to raise FJD$66,000 to help set up water supplies and electricity for seven villages in the Naviti District of the Yasawas. In another initiative Vinaka Fiji is part of a cooperative effort to establish a food bank to ensure remote communities have better emergency food supplies in times of disaster, even if their crops are destroyed. 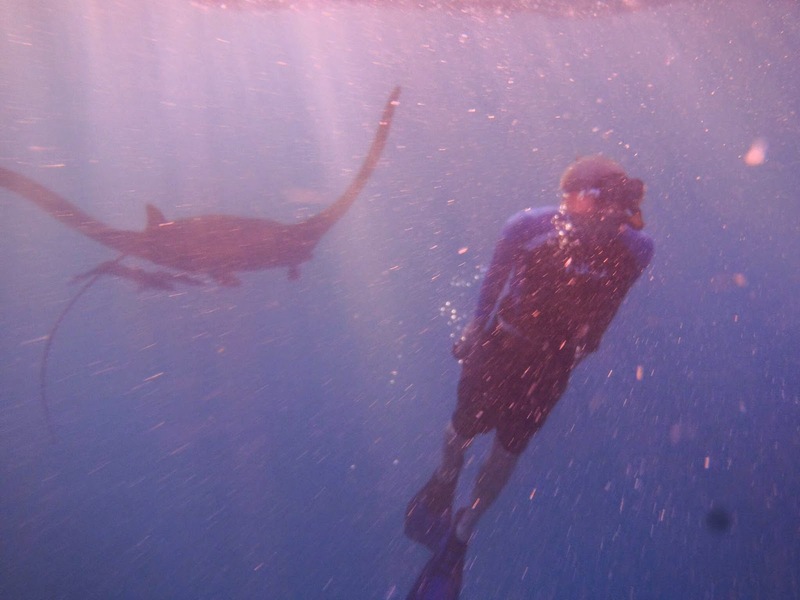 Warm tropical waters, stunning reefs, over 1,500 species of marine life… there are good reasons for volunteering visitors to get involved in the Vinaka Fiji marine research and conservation program. 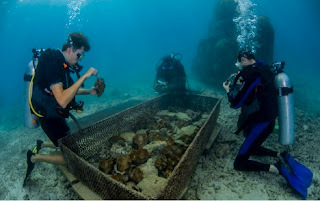 Many volunteers take the opportunity to learn to scuba dive or extend their skills by taking part in marine work, much of which takes place in – or under – the warm, turquoise waters lapping the islands. Recent marine achievements, in partnership with the Yasawa community and other groups such as Rotary, include manta ray research, removing the devastating crown of thorns starfish, helping out in the coral and clam nursery, tracking new and existing species, mapping and analysing the composition of the reef and its health, and assisting with educational programs to teach sustainable reef practices. Travel blogger Cynthia Thomas gives her top tips for staying safe on volunteering programs – and we couldn’t agree with her more. So we’ve taken those tips and put together some information about Vinaka Fiji to help you consider your safety and comfort while volunteering. 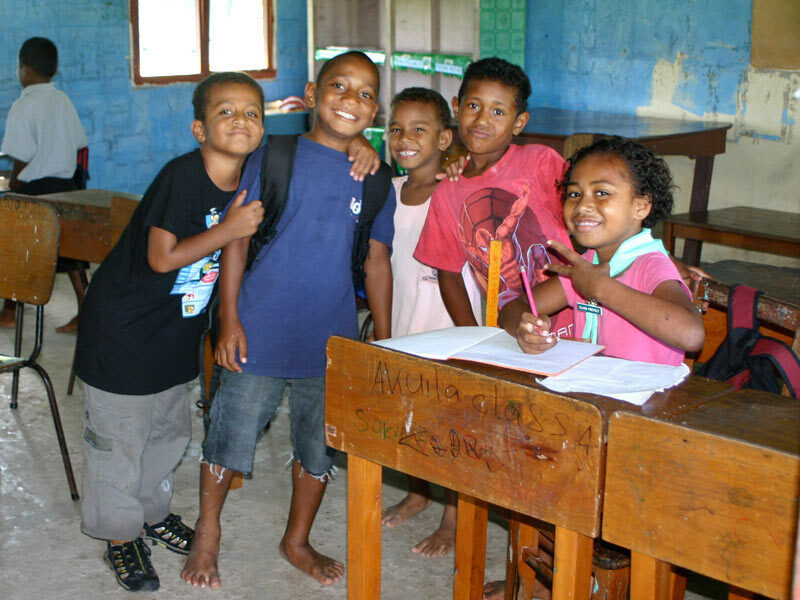 Vinaka Fiji is a charitable trust, registered as a not for profit organisation and run by a Board of Directors. Price Waterhouse Coopers provide their services free of charge to audit the organisation. The accounts and a full report on activities are published annually and available on request.Vinaka Fiji was established by very well known, trusted and credible tourism operator, Awesome Adventures Fiji. It is now also supported by Blue Lagoon Cruises (a tourism operation with over 60 years history in Fiji’s islands) and South Sea Cruises (one of the country’s largest and most experienced marine tourism operators). Fiji is known worldwide as friendly and welcoming place to travel. The Fijian people always wear a smile and welcome visitors from all over the world to their communities, especially our volunteers who they greatly appreciate. The crime rate in Fiji is low, and is extremely low in Yasawa Islands where Vinaka Fiji is based. You will have plenty of opportunities to interact with Fijian locals while volunteering with Vinaka Fiji which will give you a unique insight to their culture, as well as insider tips on how to stay safe and the best things to see and do. When volunteering with Vinaka Fiji, your accommodation is included, so you don’t need to organise your own. The hardest decision you will have to make is whether you’ll share a dorm, have a room to yourself, or shout yourself a deluxe, private, tented bure! No sleeping in a tent in the middle of nowhere for our volunteers! Our base is Barefoot Manta Resort, on Drawaqa Island. Transport to and from your volunteering work site is provided each day, as well as all your meals. You’ll have plenty of time after ‘work’ in the afternoons and all weekend to enjoy the resort facilities and explore the surrounding beautiful islands and coral reefs. Vinaka Fiji welcomes single volunteers, couples, entire generations of families, or groups of friends – it’s completely up to you. It is definitely wonderful to share the experience with someone, however single travellers are always welcome. You will always have the company and assistance of your program leader – be it in the education, sustainable communities or marine conservation program. And there are plenty of travellers staying at Barefoot Manta to make friends for the night. Always check with your GP about recommended vaccinations or other preparations you should undertake before travelling to Fiji. Generally the water is safe to drink in Fiji, but if you prefer, bottled water is widely available for purchase. (and how good is Fiji water!) It is wise to bring some insect repellent, and it’s vital to wear sunscreen! While Fiji is not a third world country, you will be staying and working in remote islands, so access to the major hospital may be some hours away in the case of a medical issue. Be prepared with basic medical amenities and any specific medications that you might need. As you’ll travel to work via boat, it’s wise to pack a light spray jacket in case of sea spray – or you’ll spend the day salty. Check here for Fijian cultural dress requirements and pack accordingly. Barefoot Manta sells bottled water and snack foods, as well as all meals being provided. Please advise us of any special dietary needs when you book your volunteering program. 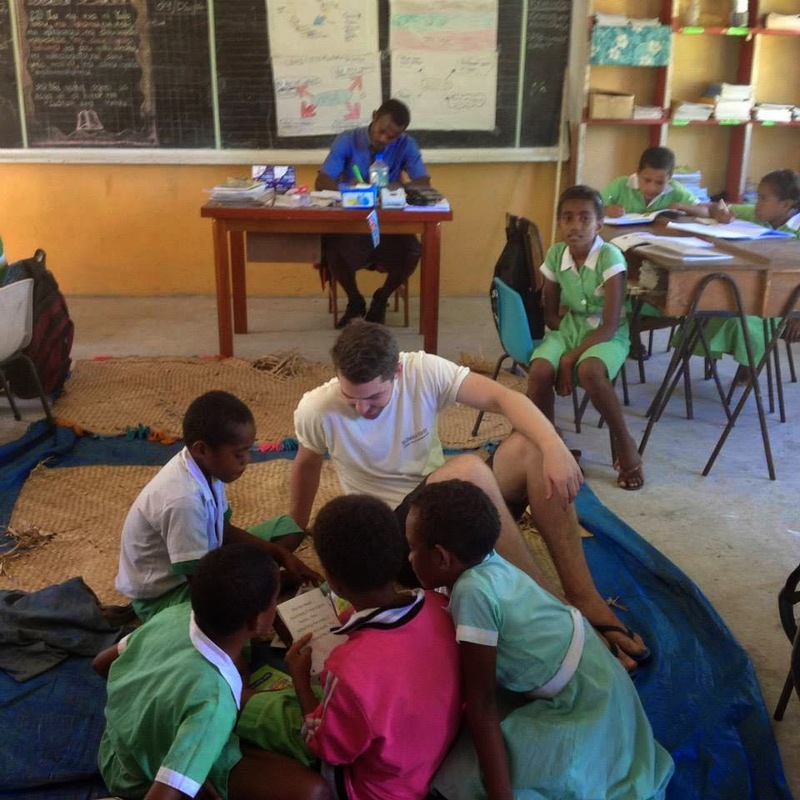 The Vinaka Fiji volunteering program is based in Fiji’s magnificent Yasawa Islands. Getting to the islands is easy. Pre-book a Bula Fiji Welcome Pack from Awesome Adventures Fiji before you fly into Nadi International Airport. These packs take the hassle out of arriving in Fiji and include a meet and greet at the airport, coach transfers from Nadi Airport to your accommodation, one nights accommodation, Fiji Vodafone sim card for your mobile phone and a cooked breakfast in the morning. Prepare for your volunteering adventure with your Vinaka Fiji welcome meeting and introduction at Nadi Bay Hotel (a Bula Fiji Welcome Pack property option) then spend the rest of your mainland time enjoying your accommodation and checking out the sights. In the morning your coach will transfer you from your accommodation to Port Denarau, where you catch your ferry to the islands! The journey to Drawaqa Island, home to your resort and your volunteering base camp, is impressive. The Yasawa Island chain of 20 ancient volcanic islands is undoubtedly one of the most stunning regions in Fiji. Four of the islands have dramatic elevations with summits just short of 600 metres above sea level. The pristine beaches and dramatic monoliths provide endless photo opportunities enroute to base camp. Once at Drawaqa Island, the Barefoot Manta team greet you with a friendly Bula Vinaka or song and if the volunteering activities have finished for the day, you’ll also meet your Vinaka Fiji Coordinator. Relax into the afternoon, meet your roommates and enjoy everything that the resort has on offer. Barefoot provides evening entertainment though you’ll probably want to have an early night and get ready for the next days volunteering. Volunteering days begin early. 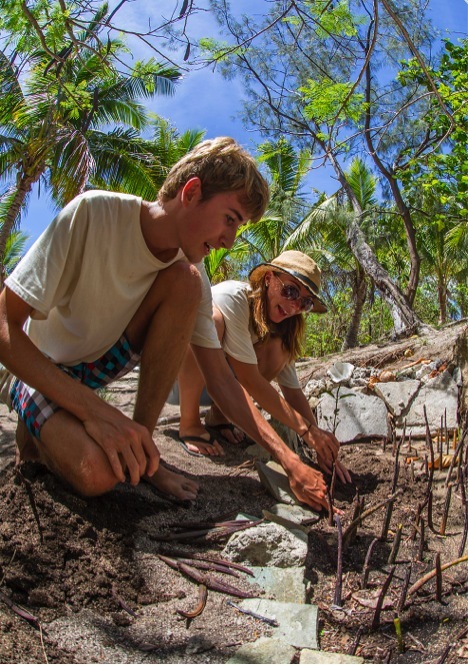 Some of the volunteering projects are based on nearby islands so you might need to catch the Vinaka Fiji volunteering long boat – pack a light rain coat for this as the sea spray can catch you off guard and make you a little salty for the rest of the day. Once you get started, you’ll find yourself fully immersed into Fijian culture and you often get to work with the locals directly. You’ll find that time moves at a slower pace, ‘Fiji Time’. That’s all part of the experience. When your volunteering working day is over, you’ll have the rest of the late afternoon to enjoy Barefoot and you’ll also have your weekend days off too. Aside from indulging in Barefoot’s famous milkshakes (bring some money for drinks) the resort has plenty to do when you’re not on the job. Barefoot is a Marine Reserve with spectacular snorkelling or diving and if the season’s right there’s even the opportunity to swim with Manta Rays. Try your luck at fishing, explore by kayak or make the most of the warm waters and have a swim. Volleyball with the Barefoot staff is always a favourite and if you prefer something a little quieter, you can always find a shady place to relax under a palm tree or take charge of a hammock and laze away your day. It’s hard not to fall in love with Fiji. The people lift you up with their beautiful singing, beaming smiles and kindness and the tropical surrounds are truly breathtaking. 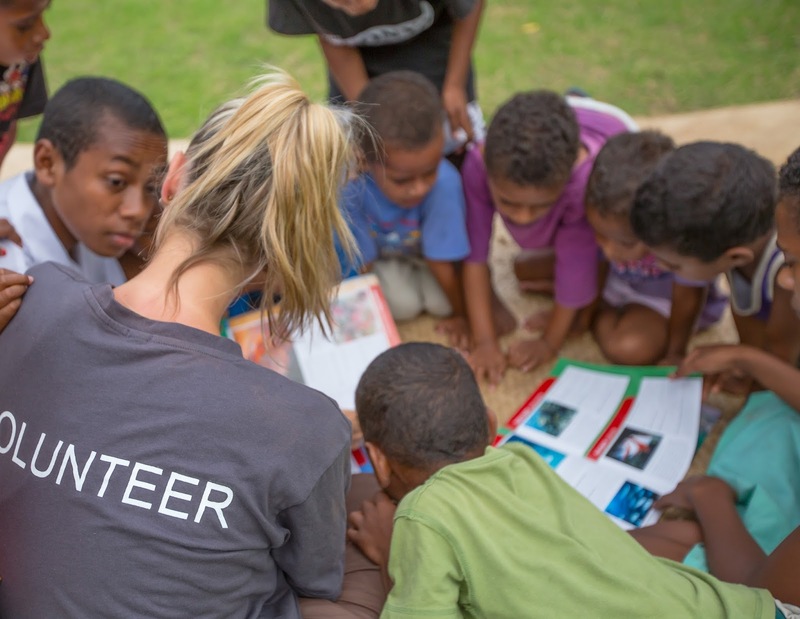 Vinaka Fiji volunteering is an extra special way to see Fiji as you get to experience the best of everything that it has to offer. You can immerse yourself into Fijian culture, meet new people, give back and experience a tropical island resort. 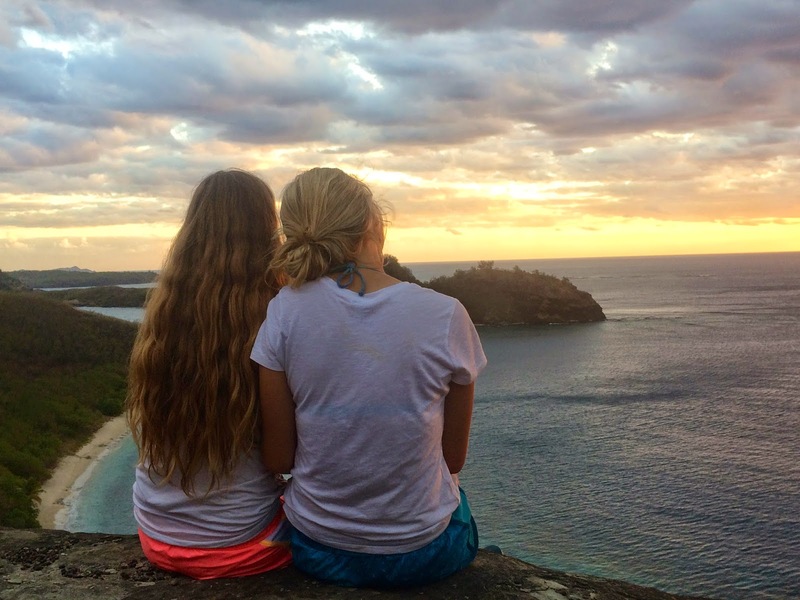 Whilst you won’t want to leave, when it finally becomes time to say goodbye, you’ll leave knowing that you’ve made a genuine difference to the people living in the Yasawa Islands. Vinaka Fiji volunteers are based at Barefoot Island Lodge on tiny Drawaqa Island in the Yasawas. As soon as you arrive at this picture perfect Island, you realise that its seclusion from the hustle and bustle of modern life makes it extra special. However there are no convenience stores nearby so this also means that it's a good idea to make sure that you’re well prepared before you arrive. To make things easy and to ensure that when you’re not volunteering, you have some time for R&R, your meals (breakfast, lunch and dinner) are prepared for you. Water, non-alcoholic and alcoholic drinks are available for purchase by cash or credit card at Barefoot. The milkshakes are pretty good too! Along with your packing essentials and toiletries, here are some other items that we recommend packing. 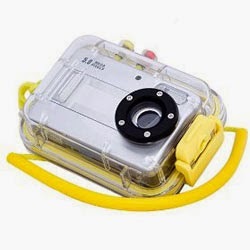 If you’ve got a camera, underwater camera or even just a camera phone, bring it along. The number of great photo opportunities will blow you away. If you’re taking photos of individuals or small groups, it’s a good idea to ask their permission first. To help us in building Vinaka Fiji awareness, we encourage you to share your photos online and we’d love you to tag us in #vinakafiji #voluntour. We take health and safety seriously and have a medical evaluation policy in place as well as 24 hour in-country support. Travel insurance is an absolute must have and we recommend that you pack a personal medical kit to cater to your specific medical needs. Pack your bathers because Barefoot’s known for its great snorkelling, diving, swimming, kayaking and swimming with Manta Rays (seasonal). There’s no better way to cool off than having an ocean dip at the end of a hard days work. Also called Sarong and Lava Lava in other cultures, these are great for tying around your bathing suit and wrapping around your shoulders if it gets a little cooler. You’ll also need to wear a Sulu below the knee when you visit the village, kindergarten and school (men and women). Women and men are expected to cover their shoulders when visiting the village, kindergarten and school. We provide a Vinaka Fiji T-shirt but it’s always a good idea to pack some alternative options too. Choose fabrics that will keep you cool especially during the summer months when it gets extra hot. Mozzies are to be expected in the tropics and whilst the number of mozzies will vary at different times of the year, it’s always a good idea to protect yourself from insect bites by applying mosquito repellent frequently (daytime and night time). We fundraise to provide tools and materials for our programs but the Yasawan communities are always in great need. You’re not obligated to assist in any way, but if you want to provide resources, tools or materials please do bring them along. 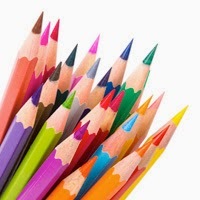 For example, those doing the Education program could bring some age appropriate reading materials and coloured pencils. 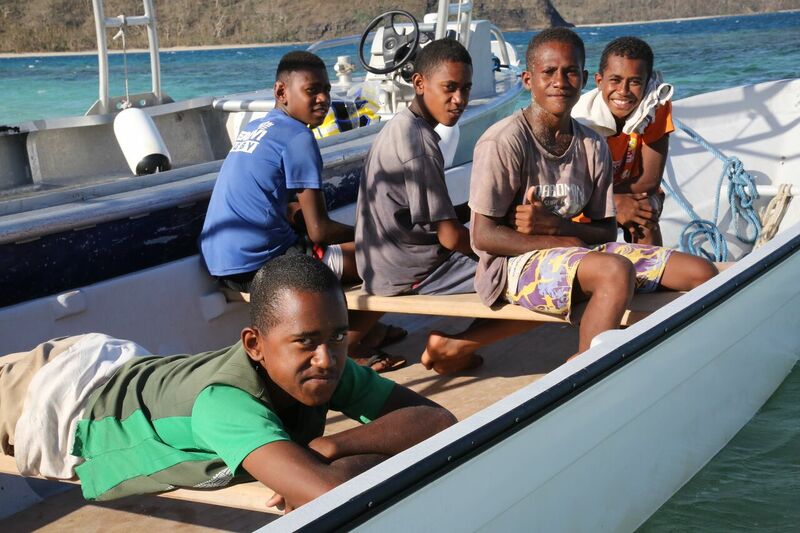 It’s a 30 to 60 minute longboat transfer from Barefoot to the Yasawa schools and villages. Sea spray can be a bit of a problem whilst onboard. Therefore we recommend packing a light coverall rainproof jacket for the journey. Vinaka Fiji volunteering becomes extra rewarding when you get to know the Fijian people your working with. It’s even better when they get to know you too. It might be nice to bring along some family photos to share. This will help to build your relationship and it’s also a great opportunity for the Fijians to learn about a different culture from their own. You may need to purchase a plug converter or voltage converter. The current in Fiji is 240 volts AC 50Hz with three-pin power points - the same as in Australia and New Zealand. 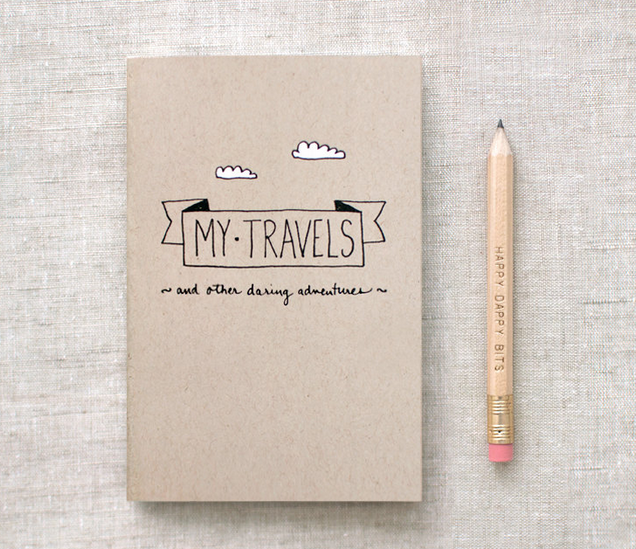 If you like to keep a record of your thoughts and travel experiences, bring along a Paperback journal or keep an online journal or blog. No doubt you’ll have plenty to write about. If you feel like it, share it with us too. 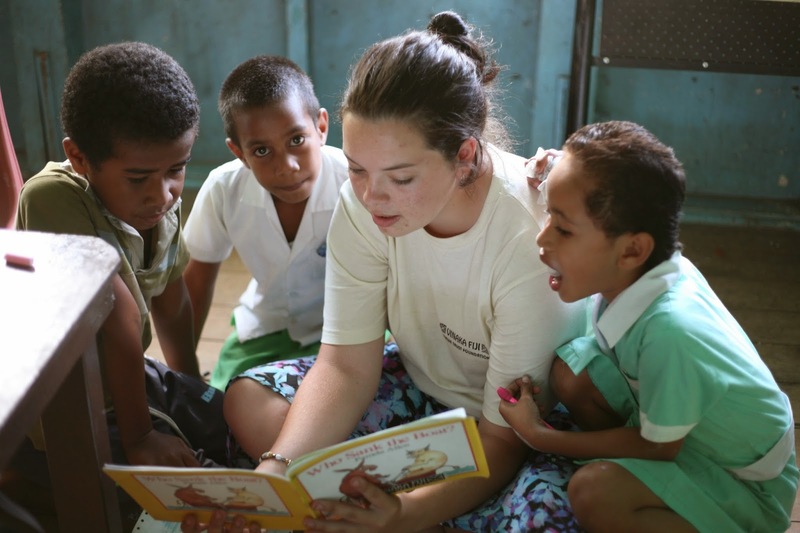 We’d love to publish your Vinaka Fiji volunteering story. These are great and you’ll be so grateful to have cold water at your fingertips. 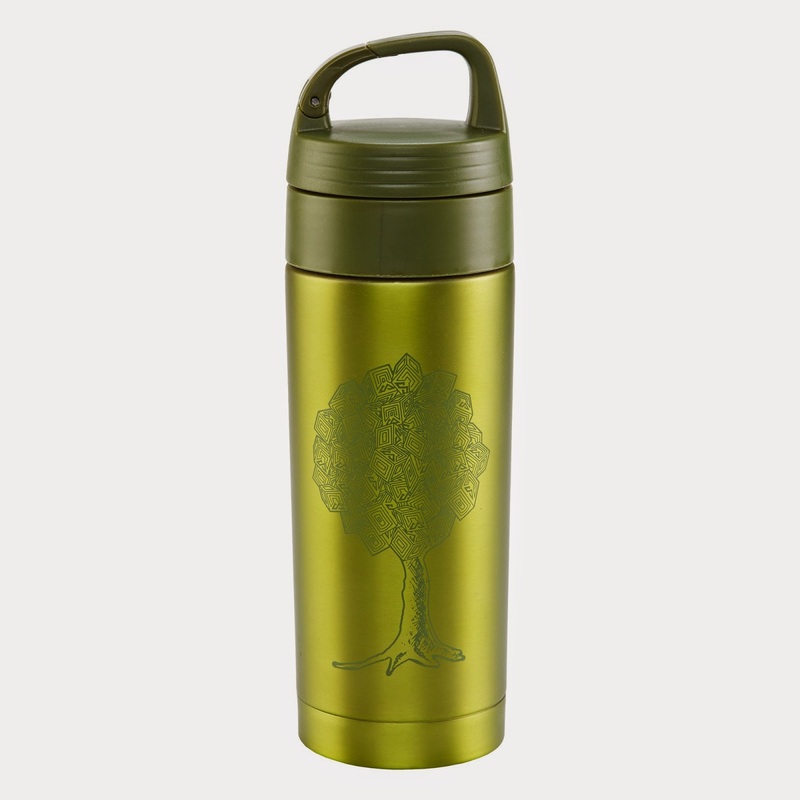 Simply transfer your bottled water to your cooler at the start of the day. Visit Vinaka Fiji's profile on Pinterest.